From the coffee wizardry world of Q Grading, through to the more beginner focussed ‘Coffee For Series’, we have a course or class for you. Our third year of hosting the Coffee Quality Institute course and exam to become a licensed Q Grader. The coffee exam comprises 22 sections including green grading, roast identification, coffee cupping, sensory skills & sensory triangulation. DATES: Tuesday 19th May – Sunday 24th May 2015. 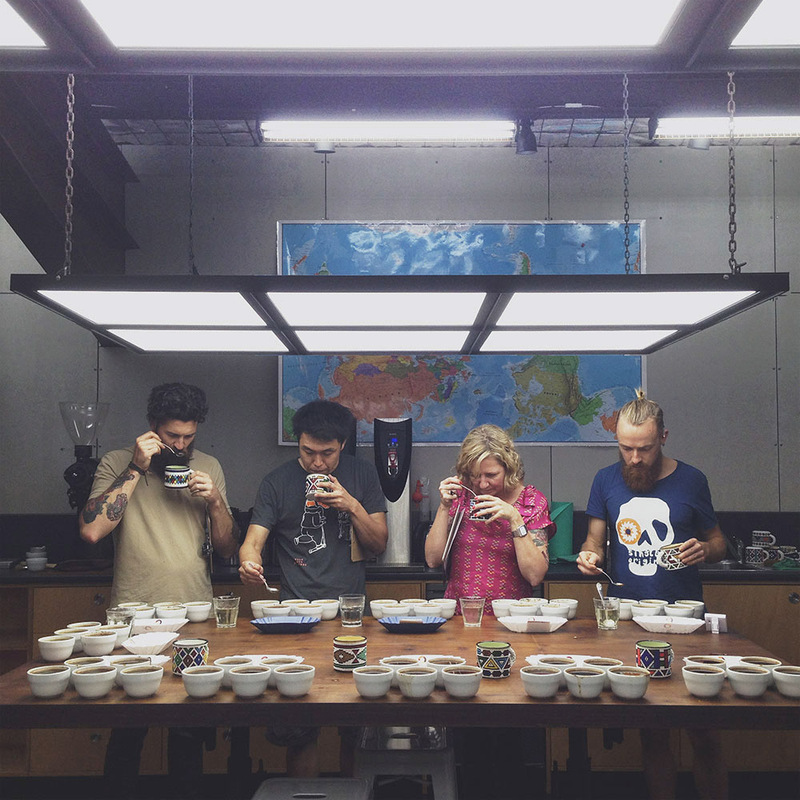 INSTRUCTOR: Craig Holt is a certified Q Grader and a Q Trainer, as well as a cupping judge for international auctions and competitions. He is also an active volunteer for the Coffee Corps. He has a caffeine-fuelled coffee history that commenced at Batdorf and Bronson, first bagging beans and pulling shots, moving on to roastery management. He then became a green coffee broker for Cristobal Coffee Importers, before commencing Atlas Coffee Importers, where he’s primarily responsible for coffee research and selection, marketing and sales. NOTES: Lunch and snacks will be provided. BOOKINGS: Spaces are strictly limited so we advise booking soon here.